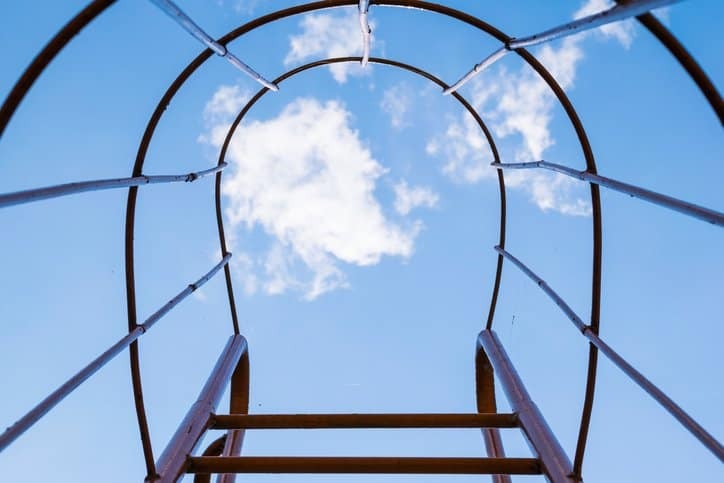 In most contexts, a cage is confining, constricting, and more-often-than-not imprisoning, but, when it comes to fixed ladders, a cage can be quite liberating. It also helps save lives. Dangers loom with any ladder operation, as risk persists due to the potential to fall, a downward force guided by the earth’s gravitational acceleration of 9.8 m/s/s. It is for this simple reason that a number of safeguards are in place with ladder design and operation, one of which is the fixed ladder cage. 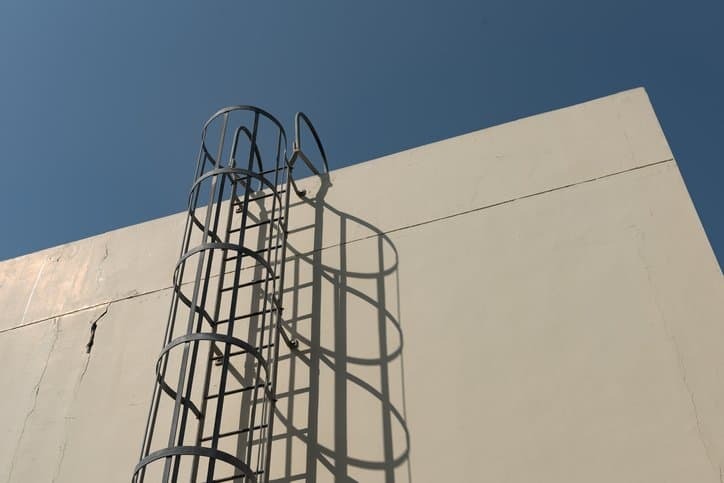 The impact of ladder dangers extends beyond their potential threats, as, according to the United States Centers for Disease Control and Prevention (CDC), falls remain a leading cause of unintentional injury nationwide, and, among workers, about 20 percent of fall injuries involve ladders. This statistic is exacerbated among construction workers, for whom an estimated 81 percent of fall injuries treated in U.S. emergency departments involve a ladder. The next section of the CFR, 1917.118(e)(2), calls for certain provisions to be followed when a well or cage is used. Under these requirements, the ladder shall consist of multiple sections that do not exceed 30 feet (9.14 m) each, these sections are to be horizontally offset from adjacent sections, and a landing platform capable of supporting a load of 100 pounds per square foot and fitted with guardrails must be provided at least every 30 feet. Ladders installed after October 3, 1983 are exempt from the offset sections and landing platforms requirements if certain criteria are met. A cage or well on a fixed ladder prevents lateral movement, containing the individual climbing the ladder and offering the comfort of a surrounding safeguard. ANSI ASC A14.3-2008: American National Standards for Ladders – Fixed – Safety Requirements, the safety standard for fixed ladders, contains an entire section devoted to these enclosures. Section 6 of ANSI ASC A14.3-2008, titled “Design Details for Cages, Wells, and Platforms,” delves deeper into the design of cages and wells. In addition to addressing considerations on the placement of horizontal bands and vertical bars of cages, the document details guidelines for cage and well size. These guidelines set the maximum distance from the centerline of the step or rung to assure that the cage or well serves its purpose. Cages or wells on fixed ladders are confining—under set requirements and guidelines—to keep people safe. ANSI ASC A14.3-2008: American National Standards for Ladders – Fixed – Safety Requirements is available on the ANSI Webstore. i need to see how it is fixed at the bottom?